Double Chin is characterized by a fold of fat found under our chin. For people who consider it as a beauty concern many methods are available to reduce this. The major causes of double chin include obesity, genetic factors , and aging. 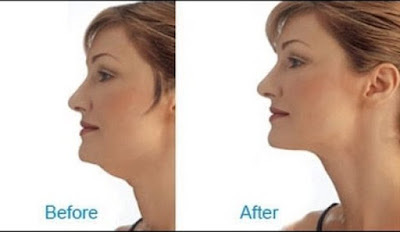 By controlled diet people can to some extent reduce double chin fat. Are you in search for the best non-surgical method for removing your excess fat at chin? Tumescent liposuction is the best way to remove fat from chin. Tumescent liposuction is the most popular and commonly preferred technique this method injection of large volume of ultra-diluted local anesthesia is given into the targeted area. The safe dosage of lidocaine is required. Also, lidocaine is lipid-soluble which is suctioned out with the aspirated fat. So it is the most effective and safe liposuction technique as compared to the older methods. Generally, dont slim up even after controlled diet and exercise. Widespread constriction of capillaries leading to minimal or no blood loss during after surgery. No need of intravenous fluid replacement during and after the procedure. Bacteriostatic lidocaine significantly decreases the risk of infections in this procedure. Because of magnification, it defects are swollen up and are less likely to be missed reducing the need of secondary procedure. Clinic Beaute Naturelle offers best Double Chin Fat Removal in Mumbai with the help of dedicated team of doctors and other staff.